The Minister for Transport and Infrastructure, Hon. 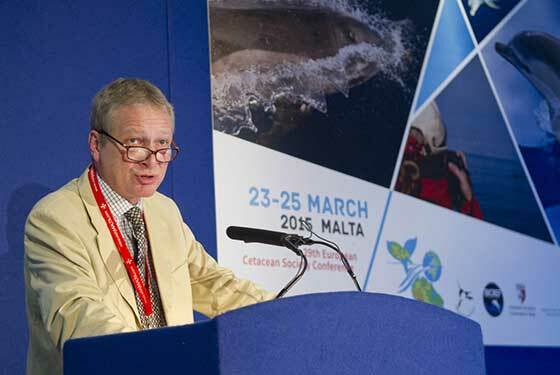 Joe Mizzi gave a valid and relevant opening address at the European Cetacean Society Conference held recently in Malta for the first time. 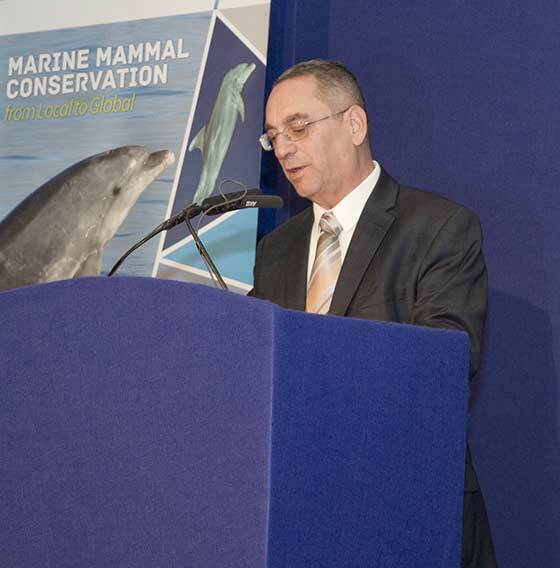 This speech was followed by addresses from Dr. Thierry Jauniaux, the Chair of the European Cetacean Society; Dr Adriana Vella for the Conservation Biology Research Group, University of Malta, BICREF NGO and Chair of the Scientific Committee of this international conference. The EU Commissioner for the Environment, Maritime Affairs and Fisheries, Karmenu Vella concluded the opening speeches. These presentations stressed the need for scientific research, especially conservation research, to guide the implementation and monitoring strategies urgently required to improve maritime advancements that decrease impacts on seas and oceans. Over 350 delegates from over 40 countries - from Europe, USA, Russia, Australia, Africa, have gathered for an international effort to upgrade marine mammal conservation through science and education. This is an urgent need especially in the Mediterranean's relatively closed sea which shows its marine mammals are suffering from heavy chemical pollution, noise and vessel traffic disturbance. The Ministry for Education and Employment, the Ministry for Transport and Infrastructure, the Ministry for the Economy, Investment and Small Business, the Ministry of Finance and the Ministry for Sustainable Development, the Environment and Climate change, and the Malta Tourism Authority all provided financial support for this unique event together with international entities such as RAC/SPA, ASCOBANS and ACCOBAMS responsible for promoting marine conservation and science in different parts of the world. This conference organized by BICREF and the Conservation Biology Research Group of the University of Malta was the 29th European Cetacean Conference and focused on various aspects of marine science relevant to dolphin, whale and other marine mammal conservation. It incorporated over 200 oral, poster and video presentations on the science and policy that may be able to guide nations toward necessary conservation actions in the near future. The theme of this conference focused on how conservation efforts are being managed at a range of levels and the links between them. This included consideration of local, national, regional to global conservation initiatives, as well as methods and mechanisms for addressing both short and long-term impacts. Original research contributions on marine mammal health, genetics, by-catch, acoustics, abundance, distribution, ecology, breeding, behaviour, conservation, welfare, historical perspectives, conservation policy were presented. The Conference was of relevance to conservation research and management, as well as to the effective implementation of the Marine Strategy Framework Directive, Integrated Fisheries, Blue Growth, Education, Tourism and Maritime policies, the Natura 2000, the Habitats Directive, the Agreements for the Conservation of Cetaceans and the Conventions on Migratory Species and Biodiversity. Most of the conference delegates visiting Malta for the first time due to this conference found the latter to be very interesting and very well organized. 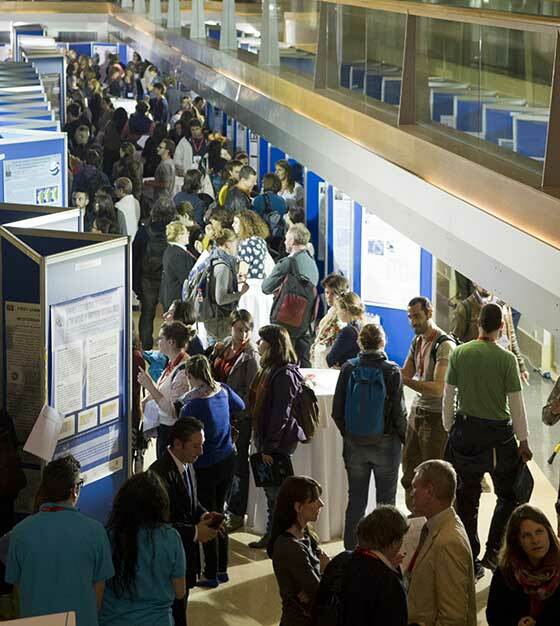 There was the opportunity to participate in any of the ten workshops preceding the conference, followed by 3 day plenary presentations, poster sessions and a research video night during the conference itself.